For 23 years, Howard Kesten has been the Owner/President of APA Search, an executive search firm specializing in the automotive industry. Between 1988 to 2011, APA Search interviewed more than 50,000 automotive industry executives and placed over 2,000 of them in companies ranging in size from $2 million to $60 billion. 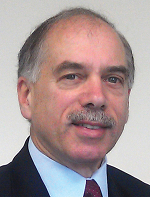 Howard provides counseling to his corporate clients in organizational development. He also provides coaching to executives to help accelerate their careers. Prior to APA Search, he spent several years with Dana Corporation, and earlier owned and operated a chain of automotive two-step warehouses in and around New York City. He is also a noted industry guest speaker and a board member of numerous Aftermarket companies.